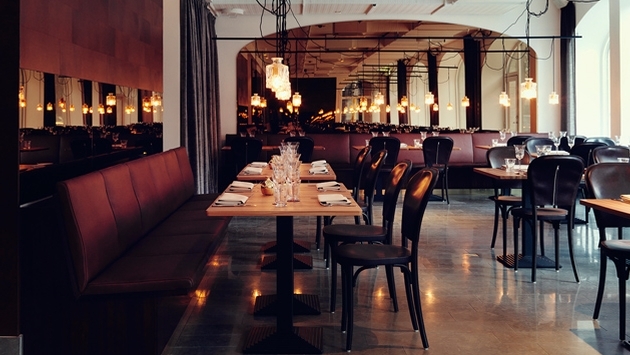 Located on the up and coming Sveavägen Boulevard, the hotel features a ground-level restaurant and bar that open onto Stockholm’s hip City district, welcoming visitors and locals alike. Operakällaren is the hotel’s 80-seat restaurant which serves modern interpretations on international and Swedish classics. The hotel also offers a gym, sauna and relaxation lounge. Each room features an oak storage unit, stretching the length of the window wall, incorporating pull-out work desks and luggage storage, and serving additionally as a perch for street-gazing. Custom mounted additions to the beds provide a sitting option and the glass-enclosed marble and tile bathrooms can be left visible, or screened-off if desired. With the concept of making the lounge the focal point of the hotel, HTL has opened a new hotel prototype in the city center of Stockholm. The 274-room hotel will feature a spacious lounge and an outdoor patio. 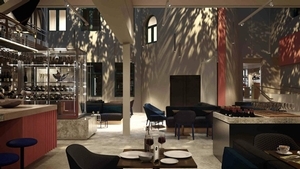 "The lounge, which is HTL 's heart and pulse, is a new and unique addition to the city where international guests and local visitors will have the opportunity to interact in a relaxed and natural way, all day long from breakfast till late at night,” said Joachim Högfjord , managing director of HTL hotels. HTL wants the 500-square-meter lounge to be a new venue in the city, designed to function both as a workplace and as a place for socializing. During summer, the lounge extends out onto the secluded outdoor patio where guests will be able to eat, drink and relax in large comfortable sofas. The outdoor lounge area can take up to 150 guests, in addition to the spacious inside lounge which has the capacity to entertain 500 guests simultaneously. A new Portuguese Pousada has opened at 4,000 feet in the mountains in a former retreat for railway workers. Developed by Pritzker Prize winning architect Eduardo Souto Moura, the former historic clinic of Penhas da Saude opened April 1 as a new lodging. The 92-room Pousada of Serra da Estrela represents an evolution in the pousada concept that features bigger dimensions as well as a spa, pool, meeting rooms and restaurant. The original building was designed by Cottinelli Telmo in the 1920s. By the 1980s, the retreat had a reputation for hosting the greatest of the snow carnival parties. The party would last all night long with music and food. The Pestana Group manages more than 90 hotel units in Portugal and abroad, as well as also six golf courses, two casino, three projects of tourism real estate, an airline charter company and a tour operator as well as several other non-tourism businesses. 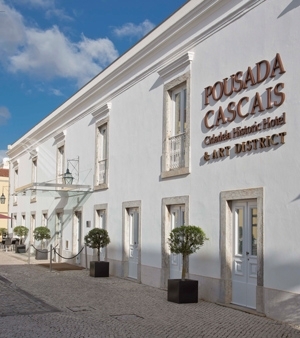 Hotels are the main business, and the group operates two brands: Pestana Hotels & Resorts and Pousadas of Portugal. The company operates 37 Pousadas around the country. This week, La Réserve Ramatuelle returns for a new season on the French Riviera near St. Tropez with a new restaurant, La Voile. The hotel is known for both the rigorous boot camp it runs and for its relaxing spa treatments. It also has the only Crème de la Mer spa in France. Pleasure and pain never had it so good as at the hotel which overlooks the sea from a high bluff. Ramatuelle has 24 rooms and 12 villas. olive oil, natural instead of refined sugar and local, organic ingredients whenever possible. The La Réserve Ramatuelle Spa has 11 treatment rooms and specializes in weight loss. Facilities consist of a gym and an indoor pool where aquabiking classes take place. 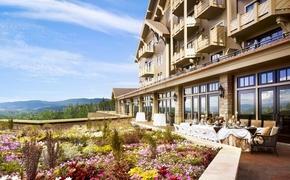 Personal coaches are on hand to supervise yoga, Pilates and hiking, and the hotel offers several week-long wellness programs. The Boot Camp is an intensive five-day (four-night) program. It begins with a medical assessment to measure physical aptitude. Ramatuelle is owned by French supermarket magnate Michel Reybier. He also owns La Réserve Genève, and La Réserve Paris (opening in September). Rates start at €750 ($1,050) per night.